Work for BizAutomation Cloud ERP? "True Cloud ERP that is for SMB space"
I love that this solution is a true cloud, strong accounting, inventory controls, CRM and Ecommerce on one database! If you are growing out of Quickbooks and not ready for a NetSuite or Acumatica then this is the solution for the feature & functions for the price! Reporting could be much better and I was told they are working on upgrading it. Not able to only use accounting solution and then add modules that are needed although for the price of the product you really can't go wrong. Please, when considering this solution ensure you have a project manager and a min of 60+ days for implementation. Removing multiple databases and versions of the truth with BA's true Cloud ERP. Most of my clients have an accounting solution, integrated with an inventory control, integrated with shipping etc. Or they will have NetSuite and that product is more that what they need both features and functions and for price. Those customers generally save $4k - $12K a yr from switching to BizAutomation. BizAutomation is the Made-To-Measure Suit of the business suite world: not as expensive as full, from the ground up custom build, but bespoke enough to make you look like a million bucks. The software is flexible, and the company itself is responsive and devoted to its customers. Some of the interface can be a bit sensitive and like many current products, may still be searching for the perfect blend of clean user interface and intuitive functionality. 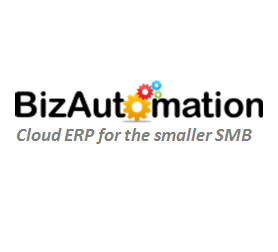 BizAutomation caters to the bulk small business ERP needs, and is continuing to develop in order to serve its target market fully. Customization is possible and flexible, with the possible caveat that extremely unique feature sets may be beyond its scope. That said, it solidly fills its niche and the customer support and flexibility in terms of development for a product at this price point has been outstanding. Since we are still in implementation I will be able to provide more specific feedback after go-live, but so far it all looks great. The challenge BizAutomation was brought in to address was a growing company with aging infrastructure engaged in several business lines. They provided a one-stop shop with the flexibility to build in functionality required for this unique business. "Comprehensive System for small to mid-sized businesses"
Have a good understanding of the business needs you are looking to find a solution for and a realistic timeline for implementation. Implementing a new system takes time and process. We took a good 6 months for users to get used to the new system and are still working out a few challenges that appeared during the process. The team at Biz, although small, has been very responsive to issues that have arisen during the process. "Biz Automation is a powerful and cost effective ERP and ERM solution"
Ongoing enhancements and development along with easy access to responsive support via telephone and email. No dislikes so far. We are using the email, accounting, contact and client management, document archive and reporting functions. Explore Biz Automation before you consider any other cloud-based ERP option because the price performance value of Biz Auto is still the best by far. Biz Automation helps consolidate most of our business functions including accounting and record archives that can be accessed from anywhere. "Business software for regular people !" I used to wish for more video tutorials to reference. Not any more - they've really increased the resources for video learning. There is more than one way to skin a cat, and the team at Biz has shown me they have the experience to assist clients with test driving and validating credible and often improved alternatives to "the way we've always done it". Effective tracking of leads to sales. Improved efficiency for order fulfillment activities. "Running our business on a single cloud suite was a good decision"
Well designed, full featured, and flexible. I like how we were able to configure all the record entry screens. In our case, we needed to custom design invoices and purchase orders, which our designer did for us. Initially I worried that not going with one of the big name software companies would be risky, but given how much we saved, and the fact that NetSuite was sold off to Oracle convince me there's no guarantee any company you base your business on isn't subject to acquisition. Sales, marketing, order management, inventory, RMAs, financials, and commissions management. As a wholesale distributor of Seals and Gaskets, with well over 300k line items we have been very pleased with Bizautomation and it's very comparable operation to NetSuite at a third of the cost. As a Public company it was very important to have the same quality ERP system moving forward and with Bizautomation, we feel we made the right choice! So far nothing to report as the Biz team has worked with us very closely to eliminate any issues we have had. Great team to work with! One huge feature for us is the speed we can now upload orders from Amazon, Groupon and Walmart! This is feature alone will save us hours of single line order entry! "Great business suite for our medical device distribution company"
We’ve been using them for 7 years now, and run our entire business around the product. The fact that we’ve stayed with them is proof positive that we love the product. The product works as advertised. If there are issues, they resolve them. We use it to use our Medical Device Distribution company, and use order management, inventory management, and other areas of the ERP extensively. More recently we've been using more of the CRM and love how it handles organization ratings and other features that help us sell more effectively. "Great solution for our complex business model"
The flexibility of custom settings & functions and constant improvements of the system. - being able to combining two separate systems (CRM and Accounting) into one system. "Best ERP for the money"
We picked BizAutomation because we were able to solve all our issues with running different software or having modules syncing data. BizAuto gave us a one software solution, allowing us to have Finance/CRM/Warehousing/Inventory on one platform with live data. "Great product, even better customer service." I consult for a friend / client that uses BizAutomation -- we moved them out of Quickbooks and into BizAutomation. The app covers just about all of our key operational processes, CRM, billing, etc. It is very powerful to have all of this functionality in a single app. Plus the customer service and on-boarding were exceptional. The interface and reporting both could be improved, but both are certainly satisfactory. More customization than Quickbooks, easier / more consolidated business processes. 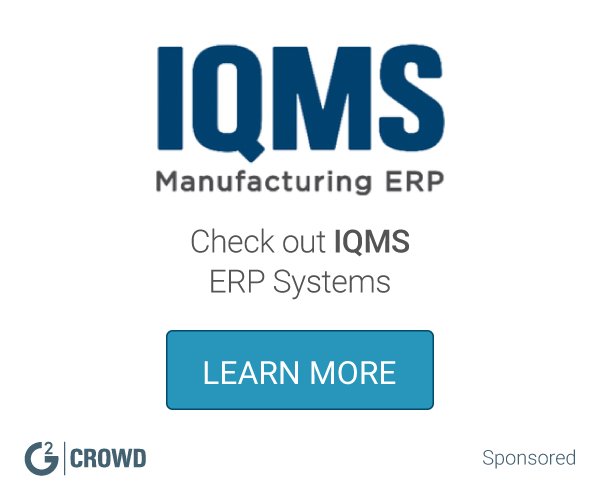 "Glad to see a serious cloud ERP site that's squarely focused on the needs of smaller businesses!" Lots of reviewers have mentioned the holistic benefits of consolidation, but I'd like to point out something often overlooked. Our implementation cost was very reasonable, and we weren't charged for the subscription until we actually went live, after the implementation process was complete. I have found a minor quirk or two, but not on anything mission critical. "B2B Medical Device Distributor using Biz Automation for 6 years"
We don’t have to connect a bunch of systems together which have multiple synchronized duplicates of all our data for one. New features and development work can have bugs which they iron out as they’re made aware of them. Definitely give it a shot. A trial will show you all you need to know. BizAutomation is a complete package - we can now run all of our day to day operations in one system. Very few bugs, but they're extremely responsive with fixes in no time. Take a test drive of the platform, you won't be disappointed - it has everything that we need and more. "Very complete system, allows us to consolidate multiple systems." Until recently there was relatively little video help, but that's now been updated. Before BizAutomation we were running multiple systems, which was creating lots of manual entry resulting in human error. ability to charge client right away, the organization and ability to pull clients and products out by specific qualifications. Customized organization - being able to choose what we want to see and use. there are some complicated part that I am still learning. "Good job of running all my businesses’s departments from a single solution"
The CRM is what I used most, and one thing that surprised me is how competent it is when compared to stand alone CRM systems. Not much actually. There is the occasional bug. I love how complete BizAutomation is. I have been able to consolidate many other systems that were costing a lot of money into a single system. Initial on-boarding took longer than I would have liked, but that's probably to be expected with complex requirements. Currently, accounting and CRM functions are being used with plans to expand into E-Commerce. The biggest benefit is no longer having to maintain multiple platforms, with BizAutomation it is all under one roof. It is an affordable package. Its cloud based and eliminates the need for multiple databases. Be sure to make sure all features meet your requirements before spending a lot of time moving forward with implementation. Cloud based helps everyone collaborate. Beneficial to have everything on one platform. "Found a great product for my small business clients"
Without a doubt it's got to be the hands on attention we got from the actual employees of the company, including some actual source code enhancements, that would never have happened at a big software company. I've worked with other big marquee names before (SAP at my former employer, and NetSuite indirectly by way of a co-worker's client that was involved as a CPA adviser) and while those are big expensive projects, we did have to go through 3rd party consultants that were really good but didn't have direct access to the software company higher ups. They're a smaller firm and that worried the client at first, but there's no way they would have been as flexible as they were had they not have been smaller. We wanted 24/7 support, but what they offered my client was scheduled support during business hours (Saturday's were available which I found interesting). Seemed like a potential issue but I don't think it turned out to be. Know they're a smaller firm. And that's both good and bad. Good because you get a lot more attention and flexibility, but don't expect 24/7 availability. I'd say you need to know your business objectives, make a detailed plan that includes the business processes you know work for your business and be clear on the non-negotiables up front and you should be fine. The client is in the LED business with some B2B and B2C but mostly B2B. I know the workflow automation wizard was easy to work with and very flexible. Because our business process was a bit complex we did require some small modifications which they handled. "Its very efficient and thorough"
I like that I have control over my sales and can charge them right away. Learning about BizAutomation Cloud ERP? * We monitor all BizAutomation Cloud ERP reviews to prevent fraudulent reviews and keep review quality high. We do not post reviews by company employees or direct competitors. Validated reviews require the user to submit a screenshot of the product containing their user ID, in order to verify a user is an actual user of the product. Hi there! Are you looking to implement a solution like BizAutomation?